Let us take you along our fun-filled collection of facts associated with Mother's Day from across the world . Enjoy reading these Mother's Day Fun Facts. While having a Mother's Day Party at your shack, you can put these jolly fun-facts to good use by framing questions to your guests in the Mother's Day Quiz, if you plan to include one. Have a look at these fun-filled collection of Mother's Day Facts! Japan's Imperial family trace their ancestry to Omikami Amaterasu, the Mother of the World. In 1873, women in 18 American cities held Mother’s Day for Peace gatherings. Eve is considered as the ‘Mother of All the Living’ in the Bible. The origin of the word "mother" can be traced back to the Latin word 'mater'. NASCAR has only run two races on Mother’s Day. Once for weather, it was raining on the Saturday preceding Mother’s Day in 2007 at Darlington. And back in 1986 at the Winston All Star race, Atlanta. On April 9, 2003, Satyabhama Mahapatra, a 65-year-old retired schoolteacher in India, became the world's oldest mother when she gave birth to a baby boy. Satyabhama and her husband had been married 50 years, but this is their first child. The baby was conceived through artificial insemination using eggs from the woman's 26-year-old niece, Veenarani Mahapatra, and the sperm of Veenarani's husband. 24.8 is the median age of women when they give birth for the first time - meaning one-half are above this age and one-half are below. The median age has risen nearly three years since 1970. The odds of a woman delivering twins is 1-in-33. Her odds of having triplets or other multiple births was approximately 1-in-539. In Yugoslavia, Mother’s Day is known as ‘Materitse’, ‘Materice’ and on this day, there is a strange trend of children tying up their mother, releasing her only when she has given them sweets or other goodies. In France, Mother’s Day is referred to as ‘Fete des Meres’. We all know that Mother Earth is also known by the term—Terra Firma. This term is a Latin translation of some of the lines from Homer’s greatest poems. 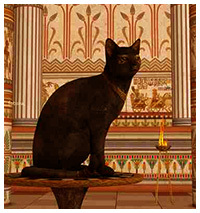 Do you know that ancient Egyptians considered cats to be sacred animals and that ‘Bast’ was the mother of all cats on Earth? In Britain, around five hundred years ago, there was a Mother called Mother Shipton. This mother was a Prophetess and could see future. In fact, it was she who predicted that another Queen Elizabeth would sit on the throne of England (Queen Elizabeth II). An amazing fact about Mother’s Day Trivia is that all the Chinese family names begin with a sign that means—mother. This is a great way to pay tribute to their mothers who have passed away. In Hinduism, Hindu scripture acknowledges the Great Mother—Kali Ma, with the invention of writing through alphabets, pictographs and beautiful sacred images.